In 2018, many hospitals and medical practices were looking around, asking where the Millennial patients were. Because many in this generation are choosing to NOT have a primary physician, it hasn’t been business-as-usual for recruiting a new demographic of patients. While some of this is a deliberate choice, maybe it's not so much that they don’t want a primary care physician, they’re just not being reached, or reached in the right way, by the hospitals who want to serve them. 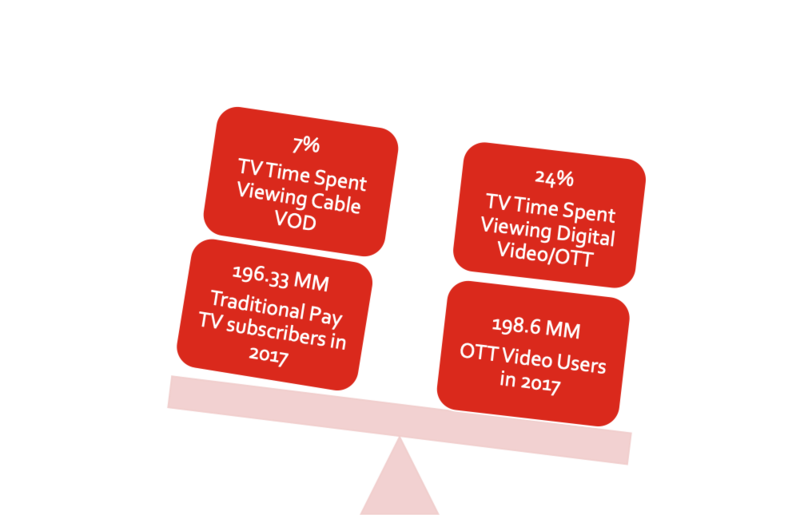 With the new digital landscape and new media behaviors, it’s not just the Millennials either—if you don’t include OTT in your media plan, you’re missing out on some huge audiences and big opportunities. 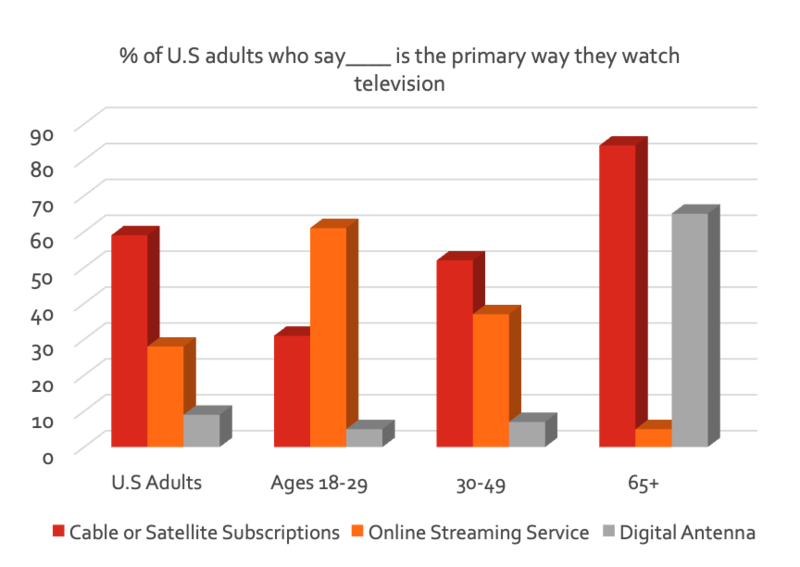 If you don’t have Over The Top (OTT, aka CTV, aka Cross platform streaming video, aka Extension of TV), as part of your media buy—you’re missing a huge population of the healthcare audience, and especially Millennials. Your media mix might get more complicated, but there are also far more opportunities to precisely target the patients you’re trying to reach, and there are new avenues for creative messaging. OTT buys can target by demographics, geographic areas, genres, behavioral markers, and different audience segmentations. All of which allow you to develop a laser focus that used to only be possible in digital/social media, but now can be applied to broadcast. Plus, a smaller/more inexpensive OTT buy (versus broadcast) can reach the same audience (if not a better, more refined audience) within the same shows. And it comes with better reporting, as well. True data for broadcast buys? Imagine telling that to your CEO. But reaching a younger audience requires more than just OTT. Because Millennials are less likely to have access to a primary care physician, they turn to friends and message boards for information. A recent study from Kantar Health showed 30% of Millennials consult blogs and message boards for healthcare information. While this will boil the blood of any physician (and they thought WebMD was bad), it’s something you have to consider. Every healthcare provider should consider their ability to offer an app whether it's by developing their own or tapping a third party. Even beyond the services an app might connect the user with, getting space on people’s mobile phones opens a two-way communication, allowing you to push messages directly to patients and allowing them to easily reach out to you. If you do have a mobile app, can you leverage it to meet Millennials needs? Even if you can’t offer virtual visits (which Millennials want), can you at least push reminders to schedule regular appointments? What about seasonal health tips? Or population health messages more directly to the segment of the populous at risk? Can you tie into the growing assortment of popular health apps and wearable devices the same way insurance companies are? As a creative agency, we see tons of opportunities beyond apps and media, too. Millennials are like anyone else, but they also have their own set of generational POVs. They want advertising that speaks to them and content that meets their needs. Most healthcare providers are better equipped to meet these needs than they think. It just takes a little bit of un-traditional thinking, and some creativity. This at its essence is what good content marketing is all about: understanding what information your customers/patients want and developing the content/materials to convey that information so it's received with open arms and builds trust with your brand. Then it's up to your (OTT-infused) media buy to deliver the information they want, how they want it. With great creative messaging, of course. Want to read more about our healthcare experience?